From Weed, Ecstasy, to Shrooms, Stereodose has the music for your next trip! Taking drugs and listening to music is a favorite pastime that has existed forever. You choose your drug, they’ll choose the music. 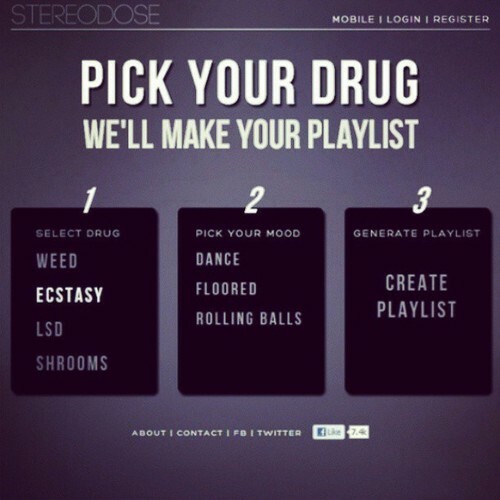 This entry was tagged app, drugs, Music, stereodose, technology, website. Bookmark the permalink.